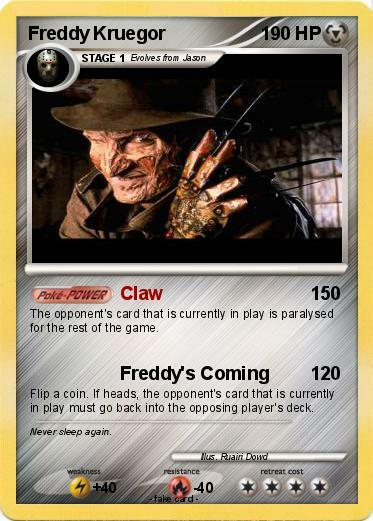 The opponent's card that is currently in play is paralysed for the rest of the game. Flip a coin. If heads, the opponent's card that is currently in play must go back into the opposing player's deck. Comments : Never sleep again.